During your first visit to Hamburg we would be pleased to discuss your needs and wishes upon your arrival and put together a profile of your requirements and expectations. We will meet you at your hotel, the airport or your future company and be happy to introduce you to the "Green City on the Water". Should you wish, we will be pleased to show you prestigious residential properties. 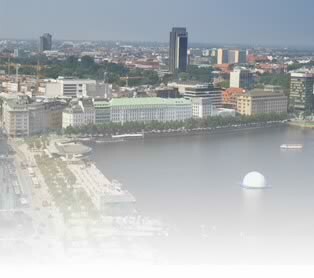 You will receive our "Hamburg Folder" with important information about our beautiful city. During your first visit we can of course also inform you about, for instance, schools, required insurances etc. Should your need a hotel reservation as well as a rented car during your first visit, we can, of course, organise these for you.